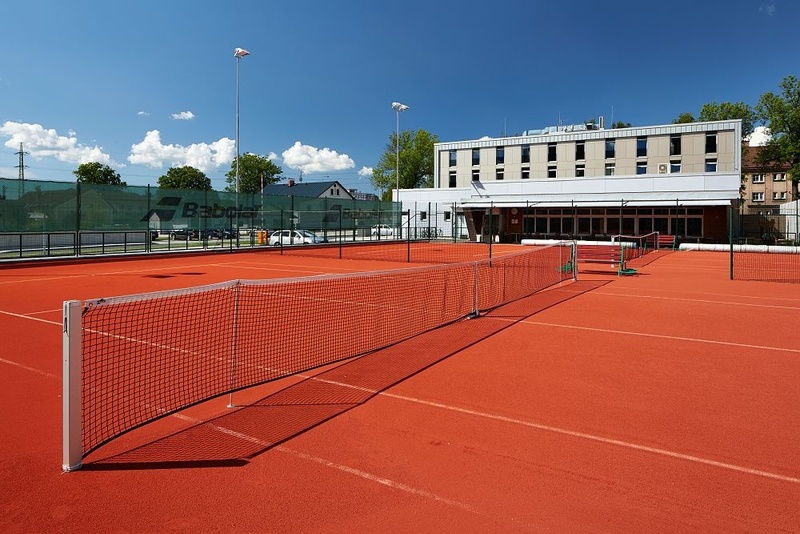 The Davidek Hotel's part including two tennis courts (in the winter covered by an overpressure hall) with the modern Classic Clay surface, one of the most saving with respect to player's health. This surface was first tested in Australia and its main characteristics and alongside the advantage is the similarity of clay. This is not only a visual similarity but Classic Clay has the same red-orange color but mainly allows for sufficient slide and optimum ball speed - a medium-fast surface. Each player will appreciate the constant pitch of the ball at every point of the board. The transition from classical clay which is the most widespread surface in our country, should therefore not be a problem for any player. The surface of the courtyard also perfectly delivers water. Even after heavy rain it is possible to continue playing in a few minutes. Come to try out the best tennis courts in Trutnov.